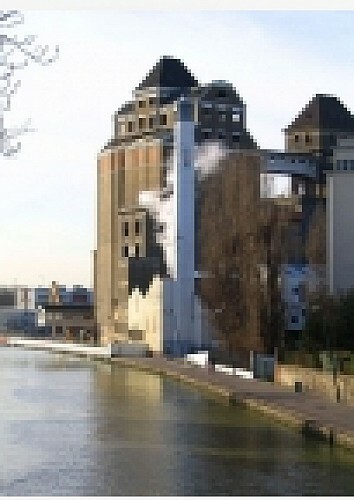 After approximately 1 km, you will discover on your left the Moulins de Pantin, impressive buildings were formerly used for activities of flour-mill. After the bridge, on your right, you will notice the national Center of the Dance, installed in the old administrative center of Pantin. Conceived concrete raw (structure and facade) this building is considered as being an excellent example of the "brutalist" architecture.